In a Nutshell: For nearly 70 years, DFCU Financial has built relationships with its members and the region it serves. As part of its community involvement efforts, DFCU Financial awards grants to fund educational programs for local schools and college scholarships for students who share a dedication to service. DFCU Financial also provides charitable support to regional hospitals in addition to health and human services organizations. Furthermore, the credit union’s commitment to helping members includes a wide range of free financial education seminars. For offering several resources that improve the lives of its members and the greater community, we recognize DFCU Financial with our 2018 Editor’s Choice™ Award for Community Commitment. From support for robotics teams in elementary schools to computer-enhanced music programming for high schoolers, DFCU Financial helps educational institutions in Michigan fund programs that develop students’ abilities. But this is just one small example of the impact DFCU Financial has had on many residents of the region. Since 2000, DFCU Financial’s commitment to its community has included thousands of donations and volunteer hours to local education foundations as well as financial and volunteer support for healthcare and social service organizations, including Henry Ford Hospital, Beaumont Hospital, Mott Children’s Hospital, DeVos Children’s Hospital, and the Susan G. Komen Race for a Cure. The credit union also offers a full range of free educational seminars to encourage better personal financial practices for both current and prospective members. Peggy Richard, public relations director at DFCU Financial, said the credit union is focused on building relationships with its members. Since its founding in 1950, when seven Ford Motor Company engineers pooled $5 apiece to form what was then known as the Ford Engineers Employee Credit Union, DFCU Financial has grown to more than 200,000 members and has become something of an institution for many residents in Southern Michigan. DFCU Financial’s foundation of strong relationships and giving back include paying $262 million in Cash Back to members since 2006 as a thank-you for their loyalty and trust. For its continued support of programs that provide students a well-rounded education, dedication to area healthcare and human service organizations, and efforts to teach its members financial management skills, we recognize DFCU Financial with our 2018 Editor’s Choice™ Award for Community Commitment. DFCU Financial supports academic and art programs through grant awards to nonprofit foundations established to help school districts weather cuts in public funding. “We like working with foundations because it enables us to impact an entire school district,” Richard said. 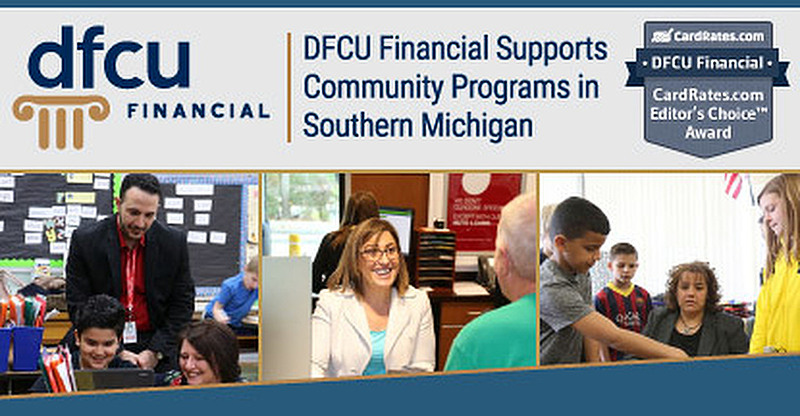 In a single year, DFCU Financial was able to donate nearly $60,000 to programs in the communities of Dearborn, Livonia, Birmingham, Taylor, Clinton Township, Riverview, Walled Lake, and Garden City. And, in 2018, a donation to the Birmingham Education Foundation made it possible to have Christian Robinson, a children’s book illustrator and winner of the prestigious Caldecott Award, visit several elementary classrooms to share his message of inclusion, creativity, and the pursuit of dreams. However, the support the credit union provides is more than a monetary contribution. Richard said local branch managers of DFCU Financial often serve on grant review committees or on the boards of directors of many of the foundations. Many DFCU Financial branch managers volunteer with regional nonprofit foundations for education. In addition to grant awards that impact multiple classes or schools, DFCU Financial funds a scholarship program to help students attend college. Four graduating high school seniors are selected each year — one each from metro Detroit, Ann Arbor, Grand Rapids, and East Lansing — to receive a $2,000 college scholarship. To be eligible, the student must be a DFCU Financial member, maintain a 3.0 GPA or higher, and, perhaps most importantly, show a commitment to community service. Health and human services is another focus of DFCU Financial’s charitable initiatives. That effort has included a $100,000 donation to Game On Cancer, a program launched by the Detroit Lions NFL team and the Josephine Ford Cancer Center to fund medical research and help patients cover non-medical expenses. The credit union sponsors initiatives that assist some of the largest and most well-known hospitals in Southern Michigan, including the Henry Ford Medical Center, Beaumont Hospital, the C.S. Mott Children’s Hospital, and the Helen DeVos Children’s Hospital. DFCU Financial has also forged a partnership as a sponsor of Jay’s Juniors, an organization that pays for chronically and terminally ill children to have an all-expense paid trip to Walt Disney World. From hospital bills to scientific advancement, DFCU Financial strives to make a positive impact in all areas of healthcare within the communities it serves. Giving members the foundation of knowledge to make sound financial decisions from the moment they open an account at DFCU Financial is a priority of the credit union. “We have an extremely robust financial education program,” Richard said. Member Financial Education Counselor Charles Hoff visits community branches to teach free 90-minute seminars that cover important topics such as debt-free living, establishing healthy credit, retirement readiness, post-retirement wealth retention, and Social Security options. The seminars are free for current and prospective members. The credit union hosts a series of free financial education seminars throughout the year at branch locations. Hoff also provides financial consultations to guide college students through the student loan process and help them prepare savings plans for unexpected expenses that arise in life. 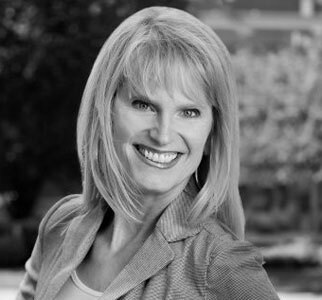 For several decades, DFCU Financial has stood the test of time as a trusted and reliable name on Michigan’s Lower Peninsula by not only helping its members but also improving the communities where its branches reside. While funding healthcare and educational programs is a key part of those efforts, the results sometimes go beyond general donations. Part of a recent DFCU Financial grant helped fund the Smart Music program at Fordson High in Dearborn. The school’s orchestra instructor pointed out to the local newspaper how music classes are linked to teamwork and higher scores on college entrance exams. Part of a grant from DFCU Financial helped fund Smart Music Technology at Dearborn’s Fordson High School. For its charitable efforts, free educational resources, and continued financial support of programs that enhance the lives of its members and its communities, we recognize DFCU Financial with our 2018 Editor’s Choice™ Award for Community Commitment.